Home » Europe’s Central Bank sets a bewildering precedent – Will it come to the U.S.? Europe’s Central Bank sets a bewildering precedent – Will it come to the U.S.? 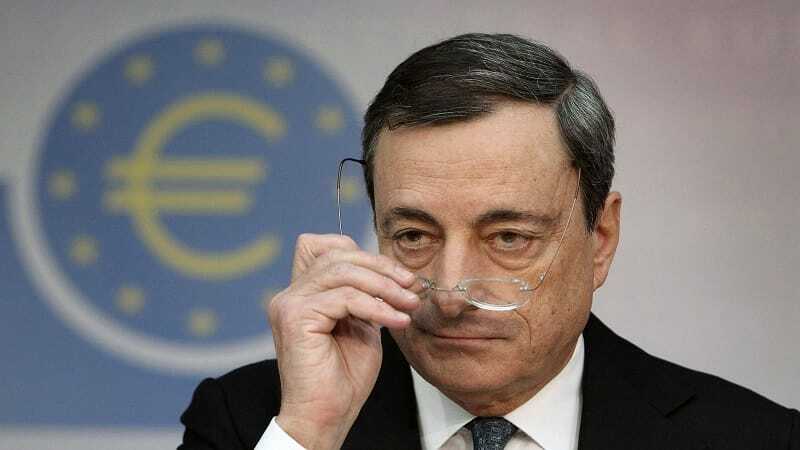 The European Central Bank (ECB) has just gone where no Central Bank of its size and esteem these days has dared go. Last week they announced that deposit rates for banks will no longer be near zero – they will actually go below zero. Negative interest rates. You read that right. How does that… even work? Well, usually Central Banks pay other banks a percentage for the use of their deposits. In recent years, that percentage had been absurdly small, but now, it will actually cost other banks for the privilege of parking money in the ECB. This is designed to spur economic activity and get banks to lend money rather than keep it parked. We’re dealing with the same problem here in the U.S., where years of Quantitative Easing have done little but balloon bank balance sheets by $3 trillion. That money is not appreciably making its way into the economy and changing hands. So there is this tsunami of cash that’s just hiding behind a wall of uncertainty, and this move by the ECB is supposed to flush those parked savings in Europe into the economy and get things moving. We’ll see. It seems ridiculous, but after repeated failed attempts to jump-start their stalled economies, Central Banks around the world are left without any better ideas of what they can/should do to stimulate economic growth. (An example of a better idea might very well be to do nothing.) They say when all you have is a hammer, everything in the world looks like a nail. That’s really what is going on here. The European economy, much like ours, is stalled out with high unemployment, low “official” inflation and very sluggish “growth”. Central Banks are in charge of monetary policy and so to them, this is a monetary policy problem: Just print money and mess with interest rates until things get better. Brilliant. What could possibly go wrong?! Well, what if the problem is outside of the purview of any Central Bank? What if the real problem lies with taxes and regulations? Here in the U.S., what if the economy is stuck like a deer caught in the headlights of looming government burdens like confiscatory tax policy and ridiculous profit-devouring regulations? What if businesses understand that the moment they make a move toward growth or expansion, an overbearing government force is going to come along and find some way to stifle them? And so they lay low and wait to see if it will ever be safe to come out of their economic hidey holes and really innovate, expand and hire again. Government overreach is economically devastating in so many ways and at so many levels. Regulatory uncertainty and labyrinthine tax codes currently have an absolute stranglehold on economies around the world, but governments can’t bring themselves to admit that they themselves are the problem. As long as the problem is continually misdiagnosed, we will keep getting bone-headed solutions like what the European Central Bank is prescribing. Hopefully it only works as “well” as it did when Denmark tried it; the best that can be said of that experiment is that it didn’t do too much damage. Over on our side of the Atlantic, our own Central Bank hasn’t taken such drastic steps… at least not yet. But if our economy continues to slog along as it has been for years now, if our economy sees more negative growth as we experienced in Q1, who’s to say the Federal Reserve won’t do the same? The moment those $3 trillion in pent up assets sitting in banks floods our economy, that’s when things may really get ugly. If you’re not protected from that flood of paper dollars that could hit, it’s time to get started now.